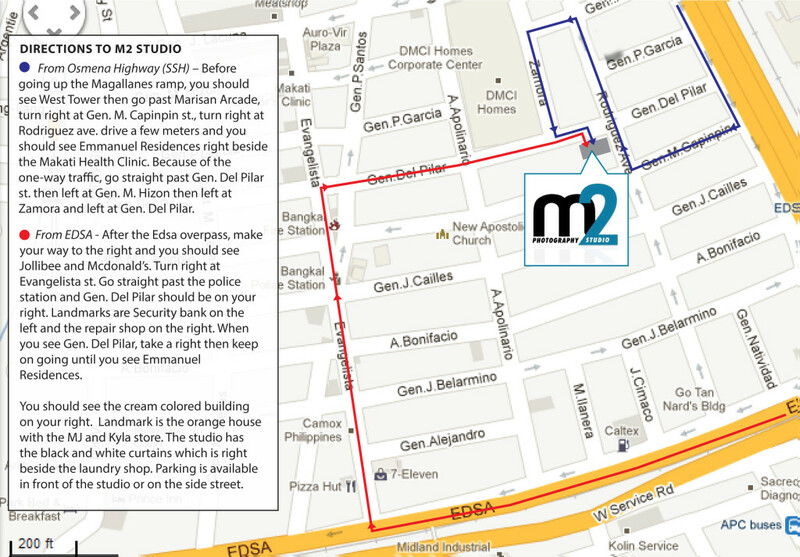 M2 Studio is conveniently situated in Makati with easy access to the cities of Pasay, Paranaque and Manila. 1.) From Osmena Highway (SSH) – Before going up the Magallanes ramp, you should see West Tower then go past Marisan Arcade, turn right at Gen. M. Capinpin st., turn right at Rodriguez ave. drive a few meters and you should see Emmanuel Residences right beside the Makati Health Clinic. Because of the one-way traffic, go straight past Gen. Del Pilar st. then left at Gen. M. Hizon then left at Zamora and left at Gen. Del Pilar. You should see the cream colored building (Emmanuel Residences) on your right. 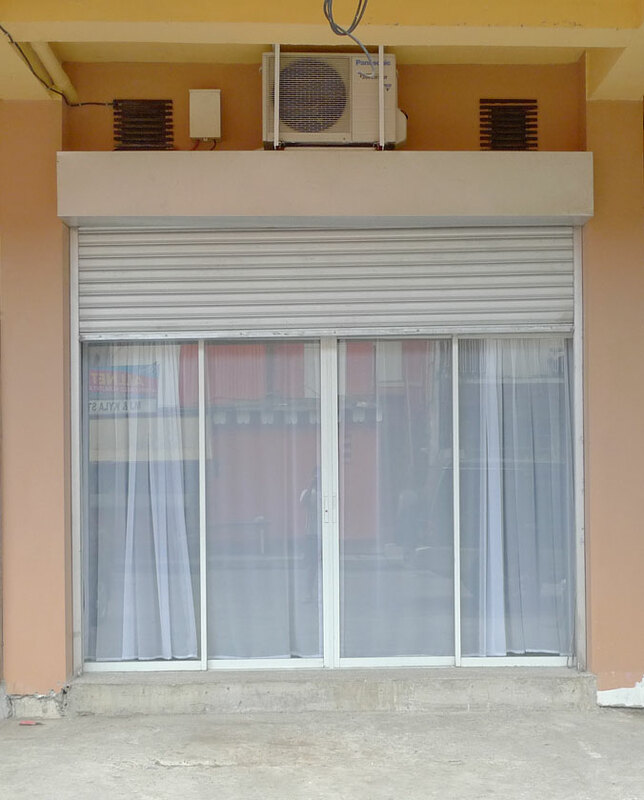 The studio has the black and white curtains which is right beside the laundry shop. Parking is available in front of the studio or on the side street.